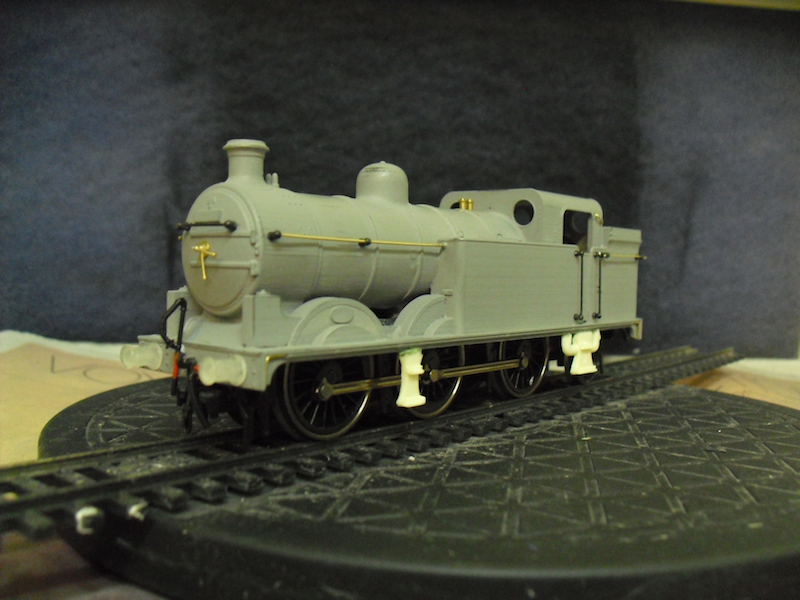 THE BRITISH RAILWAY STORIES LTD: "Ivatt N1: Detailing and Resin Casting (Part 2)"
I apologise to readers of this blog for the monotony of my modelling at present, but this Ivatt N1 bodyshell has proven to be a very effective tonic to my recent modelling headaches with its larger Pacific brethren. I have now added my own resin steps added to both sides of the body shell. Gamesworkshops blue/yellow putty used to help cement the steps in and provide a thin support behind. This will be filed back carefully when all has set properly after twenty four hours. Superglue was used sparingly to stick in position. The Alumilite parts are surprisingly flexible and quite strong. 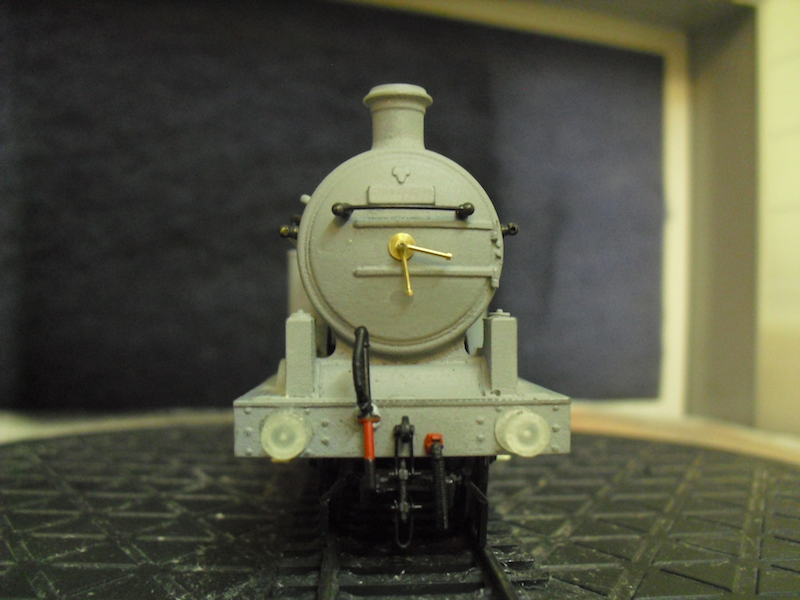 A few other bits and bobs have been added, including test fitting all of the front bufferbeam pipework which are blue tacked in. They are all Hornby Thompson L1 spares, which looked closest to the Ivatt N1's and were also readily and cheaply available. Will definitely go down this route for future N1 builds. I've got a surprisingly long list of minor bits to add (I keep forgetting to add the lamp irons, for instance!) but overall the build is progressing very well, and it's been a lot of fun. 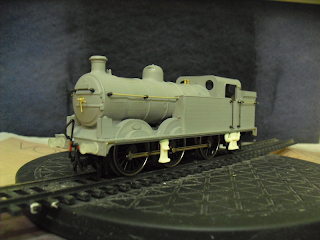 I'm very much in the frame of mind to just crack on and get this model finished by the end of the week, before I get on with the next mini project, upgrading a Hornby Railroad Flying Scotsman. 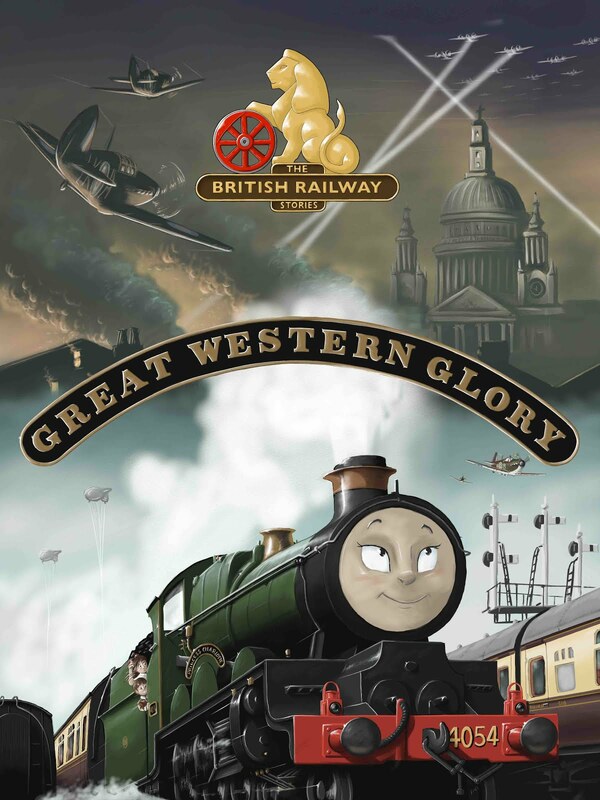 However, there will be a slight blogging interlude between these two modelling projects, as I will finally have something to show for my last few years hard work next week...and it'll be available to buy soon after I hope! 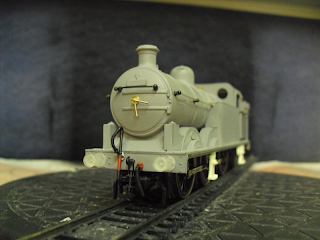 I'll return to the Ivatt N1 later in the week, with the intention of getting it into plain black and branded/numbered before the weekend. 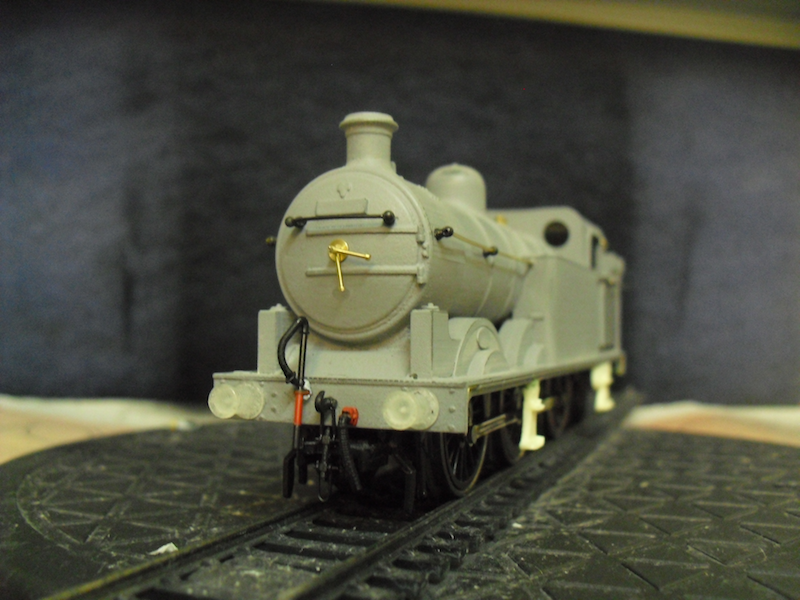 I'm unlikely to get it weathered for a good while if I don't get it finished before the weekend. This is one of the hazards of being self employed now: you have to be much more disciplined with your time!